Plus, the first 50 orders come with a limited-edition postcard set featuring poems and excerpts from the book. 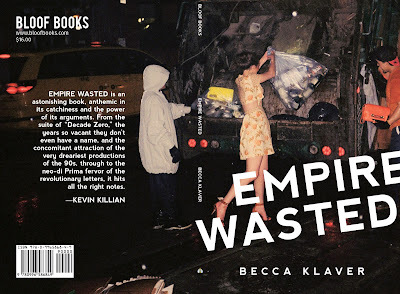 Think of the empire waist as a dress with a lot of breathing room, in which the body can move within ample space while still remaining hidden. 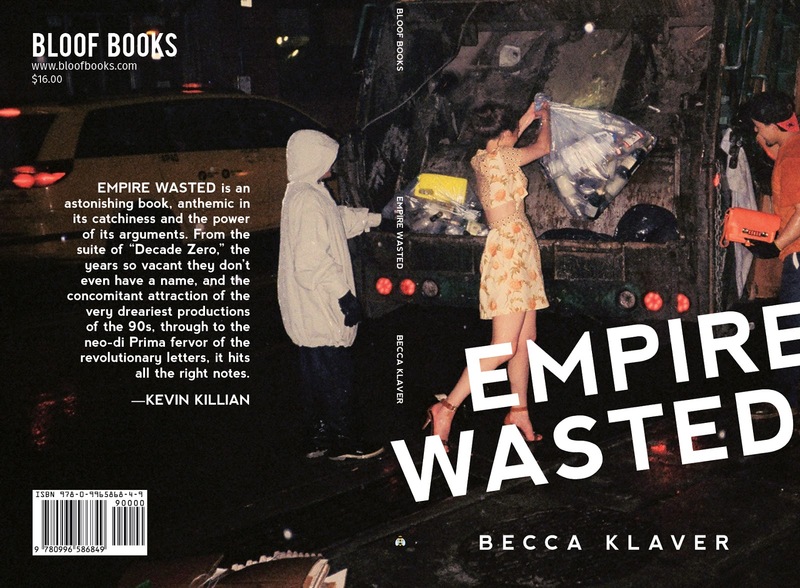 A comparably generous poetics suffuses Becca Klaver’s Empire Wasted, a collection that aims to fashion for the world new space to move inside. Using technology as an instrument to stitch together materials as disparate as tweets and autobiography, this book pays homage to schools it has inherited while thrusting dizzyingly into its own brainy vortex. 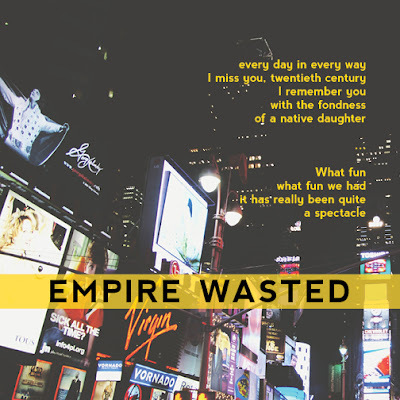 Empire Wasted metabolizes the twentieth century into the fashionable neons of a numbing regime. In a fit of collage, the Internet speaks from its most comfortable of media troll outfits, Manhattan gleams in apocalyptic shine and false prophecy, and the 90s deploy a feminist artillery of bell-bottoms, Discmans, and snapping barrettes. As readers, we witness a poetry that shimmies away from its capitalist, patriarchal heirs in favor of a feminist documentary lyric, a poetry that opts to stay in its room all night with Frank O’Hara, Bernadette Mayer, and Reality Bites rather than reenter the party booming below.